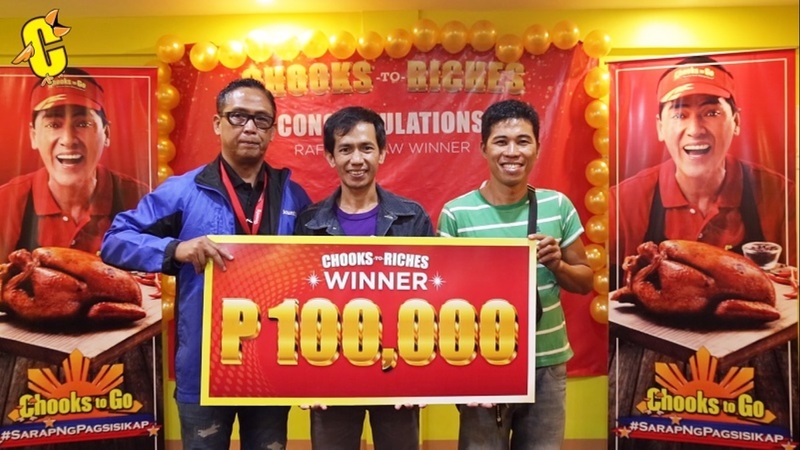 Recently Chooks-to-Go, the leading roasted chicken chain announced the winners to their nationwide promotions campaign Chooks-to-Riches. The lucky people who won were John Jervie Dee of Misamis Oriental, Emanuel Moreto of Leyte, Angelica Olinares of Negros Occidental, David Villanueva of Bicol, Leslie Naval of Malabon, Antonio Tiu of Tacloban, Emmanuel Asuncion of Bulacan, Ma. Elena Biyo of Iloilo, and Cecile Senining of Cebu. 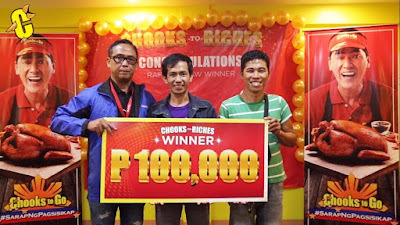 Each one received PhP 100,000 pesos in cash, tax-free.